With hundreds of millions of people gaining access to the web each year through mobile devices, it is no wonder that search engines, consumers and social media alike are all adapting to this reality. Many websites and brands have found it difficult as of late to rank well in SERPs due to a combination of increased competition and more mobile demand. Websites that are not optimized for mobile devices will certainly fall behind in the SEO game before long, and if your website hasn’t already been impacted, it soon will be. Because of the need to appeal to a mobile audience – which now comprises a majority of search traffic – we’ve put together a list of three mobile SEO elements that must be optimized above all else. Above all else, pinging to Google a website and design that will not load properly on mobile devices is a death sentence. 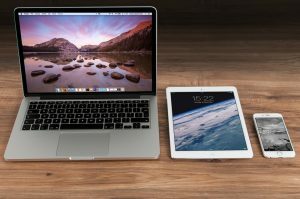 With so many people now using their phones, tablets and other mobile devices to access information, it is imperative that your website display properly on all devices. Mobile responsive design is the phrase many people use to describe this trend. There are ways to directly code a website from the ground up to do this, as well as free and premium solutions available that will “translate” your website for each visitor based on the browser they are using. Not only can search engines tell whether or not you are using a mobile responsive design, but they can indirectly tell from massive numbers of mobile users who immediately leave your site because it is non-functional for them. Many people use mobile devices differently for search than they would use a desktop or a laptop. For instance, voice search is increasingly becoming popular with mobile users as it can save time and energy compared to typing out search queries. As such, you want to be sure that your keywords are appearing in voice searches just as often as they are in traditional searches. There is an entire area of study now popping up around the notion of voice keyword optimization and it is very important that you consider learning the tricks of the trade before too long. It’s important to also consider spoken syntax, items phrased in the form of a question, and other variables in this area. Mobile devices are still slower on average than traditional computers due to the nature of cellular service – especially in developing countries – and so building the fastest loading pages possible is paramount to long-term mobile SEO success. Many people are now resorting to Accelerated Mobile Pages, which function by minimizing the amount that must be loaded for a page to fully appear. Search engines are embracing the notion of AMPs quite readily, as they seem to perform better on average in SERPs than traditional mobile-optimized pages. If you’re looking for a way to improve your mobile SEO game, then you may want to start pinging to Google more of these pages. What other elements do you believe are important in optimizing a mobile user’s experience on your website? Let us know what you’ve already done and what you plan to do in the comments below.